Advent was once a penitential season. Like Lent, it was a time for reflection, repentance and renewal. The color was the same as Lent, purple. Part of the preparation for the coming of the Lord and the coming celebration of his birth was confession and repentance for the sake of hearing again the good news of forgiveness. Observing Advent as a penitential season doesn’t make it a “downer,” negative or sad, but rather an opportunity for new freedom, joy and release as we lay down our burden of guilt and receive mercy and the chance to begin again and anew! It is all too often the case that Christians still believe that God forgives us because we try harder, sin less and make ourselves acceptable to him by our thoughts, words and deeds. This understanding has it backwards. Because God loves us and forgives us the sins of our youth and our sins of yesterday and today, we are free with each new day to trust in him, walk in his ways, and keep his covenant! The joy of repentance in Advent is that we receive God’s grace and mercy, to go and sin no more! 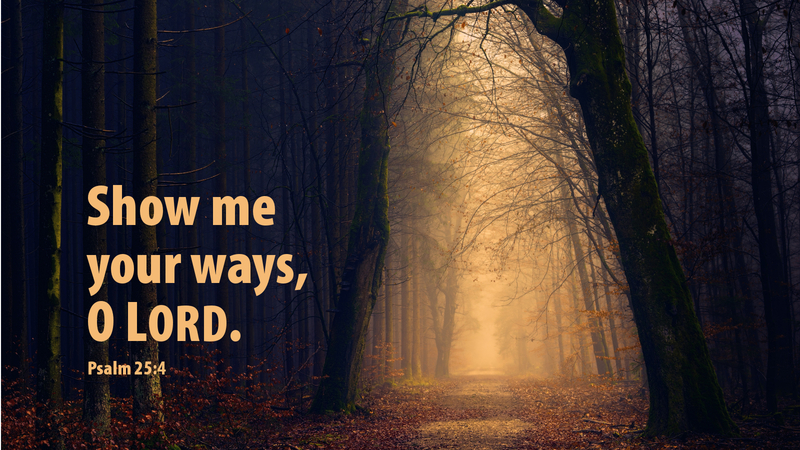 Prayer: Lord Jesus, remember my sins no more, and teach me your ways! Amen. Advent Action: As the forgiven person you are, make a list of three ways you would like to follow Jesus more closely, and make that your Advent focus. An excellent devotional beginning for Advent; thank you!